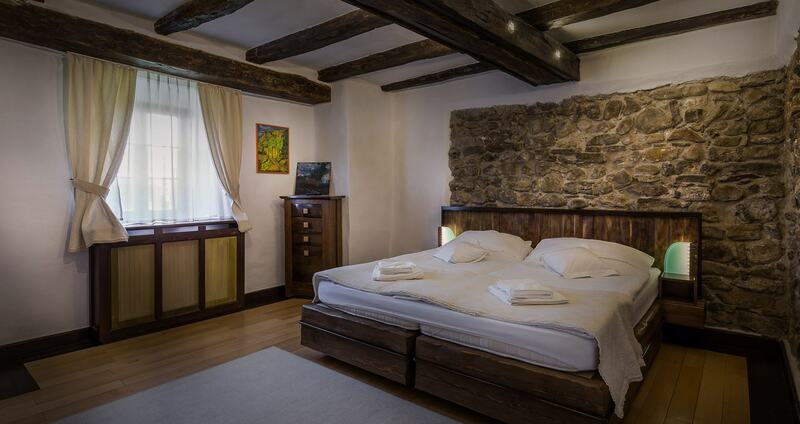 "The Lodging of Olasztelek", how old documents mention the building, is set in the oldest wing of the castle. 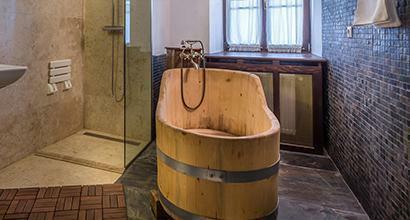 Its thick stonewalls, century-old oak beams and the traditional wooden bathtub emanate the atmosphere of the first Daniel residence raised in the early 17th century. The szekler noble Daniel family originates from Vargyas (ro: Varghis), a village next to Olasztelek (ro: Talisoara), where one can also find a Daniel Castle, the first residence of the family. In the early 17th century, after parting the domains with his brother, Daniel Janos I. moved from Vargyas to Olasztelek, establishing the Olasztelek branch of the family, and starting the construction of a noble residence.